Something about summertime screams desserts made with fruit. Well, I had bananas that were looking a tad too yellow for my taste, (I tend to like them firm and even a little green) so I wanted to try something new. 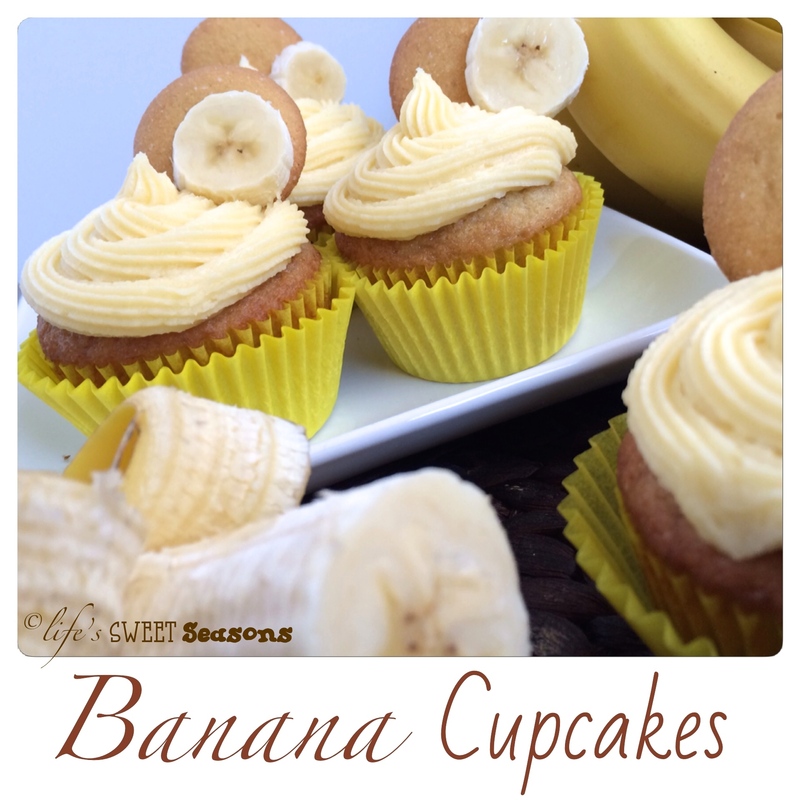 These cupcakes are a delightful twist on banana bread and definitely hit the spot. 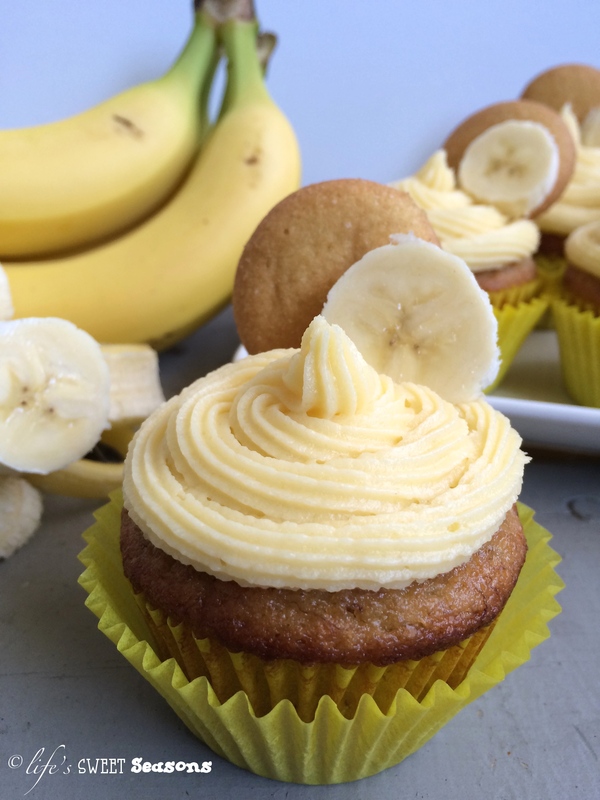 The cupcake recipe is from Cooking Classy, which is one of the few cupcake recipes I could find that used actual bananas in the recipe as opposed to just banana flavored pudding. I wanted the frosting to have a banana flavor as well, but have a cream cheese base, so I decided to add banana pudding flavor to the frosting which not only gives it a subtle banana flavor, but a fun light yellow color. The vanilla wafers are optional, but it’s kinda fun to have them both on the bottom of the cupcake and as a garnish. The vanilla wafter on the bottom becomes soft while it’s baking so it basically just holds everything together once out of the paper wrapper. 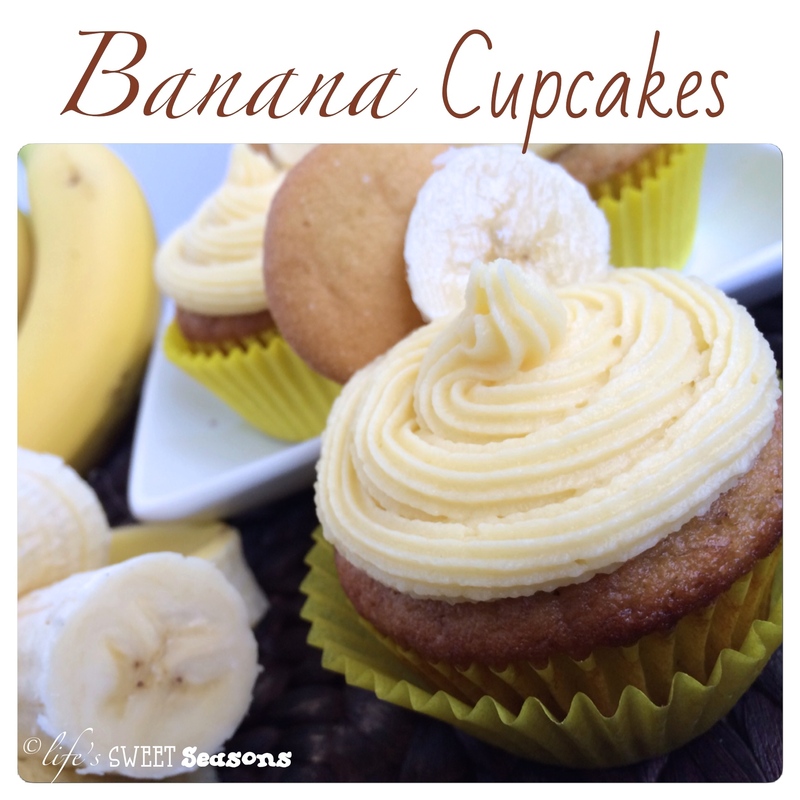 I think adding the bananas in the cupcake batter make these slightly thicker than most cupcakes, but the frosting definitely keeps these from just being a banana muffin. These certainly aren’t the healthiest snack to be eating this summer, but they sure are good! Enjoy! Preheat oven to 325 degrees. Line a muffin tin with paper muffin cups and put one vanilla wafer at the bottom of each. In a small mixing bowl combine flour, baking powder, baking soda and salt, set aside. In a small bowl mix mashed bananas with lemon juice, set aside. In a large bowl, using an electric mixer, cream together butter and sugar until light and fluffy about 3 – 4 minutes. Mix in egg and vanilla. Add mashed bananas and stir until combine. Mix in the flour mixture alternating with the buttermilk. Pour 1/4 cup mixture into paper muffin cups directly on top of vanilla wafers. Bake for 22-24 minutes until toothpick inserted in center of muffin comes out clean. Remove from oven and let muffins cool in muffin pan 5 minutes, then remove from muffin pan and let cool 30 minutes on a wire cooling rack. Pipe vanilla pastry cream on top of muffins and refrigerate until ready to serve. Place banana slices and vanilla wafers on top immediately before serving. In a large bowl, beat together the butter and cream cheese with an electric mixer. With the mixer on low speed, add the powdered sugar a cup at a time until smooth and creamy. Beat in the vanilla extract and instant pudding powder. You might need to add a splash or two of milk to get your desired consistency. This tends to thicken up in the fridge, so if you save it you’ll definitely need some the next day. Notes – I like to frost my cupcakes as we eat them so I tend to keep the frosting refrigerated until we need it. If you do this the frosting does get hard and you can’t use it until it has warmed up a bit. I either set it out on the counter for a while or put it in the microwave for about ten seconds. Then I add a splash or two of milk.